It wasn't the wildlife, the fresh air, the scenery, or the promise of a simple life that drew retired editor Jane Congdon into the woods. It was the WILD EFFECT! Record numbers of women were taking to the trails after reading Cheryl Strayed's best-selling memoir. 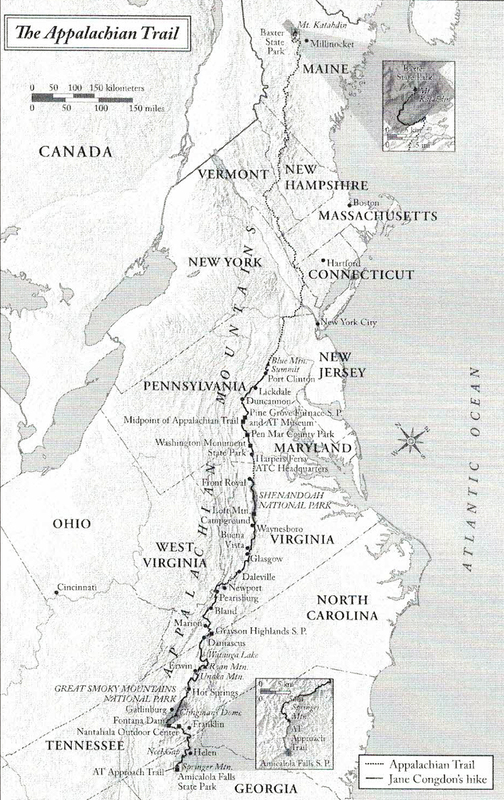 Like many others, Jane had little hiking experience, yet she spent 17 weeks on the Appalachian Trail. Jane logged nearly 1,200 miles hiking with partners, alone, and with a glass good-luck charm named Ms. Rabbit. This is her fascinating and humorous account of life in a land of bears, wild pigs, volatile weather, primitive conditions, trail town stops, and the personalities she met along the way. 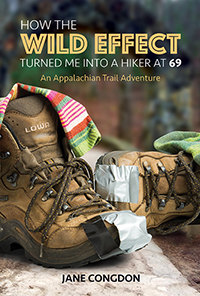 Readers of How the WILD EFFECT Turned Me into a Hiker at 69 will learn how a long-distance hike changed one hiker’s perceptions of both Mother Nature and human nature. Jane Congdon grew up in the mountains of West Virginia. After graduating from Concord College (now Concord University), she made a career of words, working as an English teacher and a newspaper reporter before finding her niche as a textbook editor in Cincinnati, Ohio. She retired in 2009. At age 59, Jane followed Dracula's footsteps through Transylvania, resulting in the memoir It Started with Dracula: The Count, My Mother, and Me (©2011). She then co-authored her brother's memoir, Mr. Joe: Tales from a Haunted Life (©2013). Both books were published by Bettie Youngs Book Publishers and are available from Amazon and other outlets. 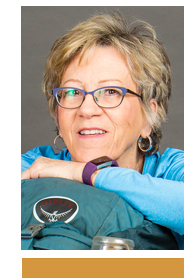 At age 69, Jane returned to the mountains as a backpacker. To date she has hiked 1,195 miles of the Appalachian Trail in 8 of its 14 states: Georgia, North Carolina, Tennessee, Virginia, West Virginia, Maryland, Pennsylvania, and Maine. Jane has spoken at conferences, libraries, book clubs, universities, outdoor clubs, and an art gallery. She is a member of West Virginia Writers and nonfiction judge for the organization’s 2019 writing competition. She is a member of West Virginia Writers. Visit her website at www.janecongdon.com. “In a world of trail books, few have this much heart and reflection. Her tale is delivered with authenticity and an easy sense of humor, and somewhere between "Hot Pants" and "April Ice," I knew she had a hit on her hands." —Anna Huthmaker, Founder of Trail Dames, Inc.
…An Appalachian Trail adventure you won’t soon forget!